This campaign has ended. Thank you to everyone for their generosity to double the donations. $1,170.00 Donated of $1,000.00 goal including Match. $0.00 Matching Funds Remaining. This week’s Jeans Day donation will go to Into the Mouths of Babes/The Filling Station. I recently moved to Orangeburg, SC, and while it is a wonderful place to live, there is a lot of poverty throughout the county. In fact, county-wide, 1 in 4 students go hungry outside of school within the consolidated school district 5. With an enrollment of about 7,000 students, that means about 1,750 school children leave school and get little to eat over the weekend. My wife and I attended a fund raiser for Into the Mouths of Babes/The Filling Station a few months ago, and were very moved to help out with the cause. A little about the organization…. In 2010, Into the Mouths of Babes was formed to help feed the hungry children at Mellichamp Elementary School (one of the poorest schools . 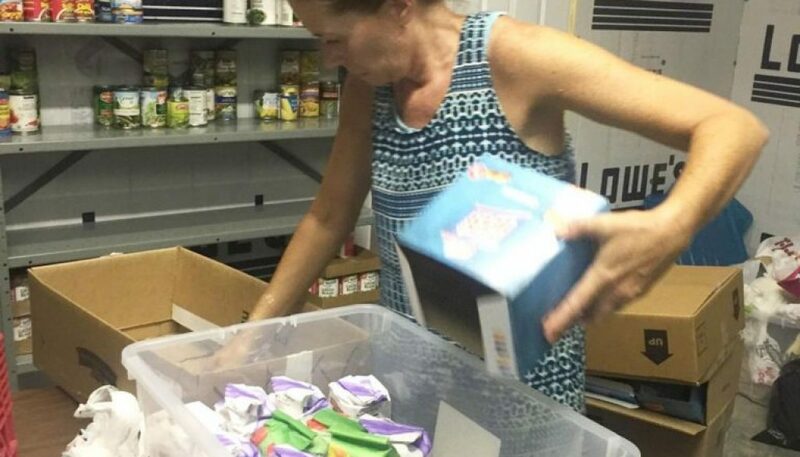 This organization, without fail, gave 150 students food for the weekend for 7 years. ​In March of 2016, The Filling Station, a similar organization, joined forces with Into the Mouths of Babes to help students throughout Orangeburg Consolidated School District 5. The organization is 100% volunteer run and all money goes to providing children food over the weekends.